Make a bold statement this summer in one of these stunning dresses by Mariko. Mariko is a Dorothy Perkin’s Boutique brand and their latest collection of bold prints and colours have been flying off the shelves. 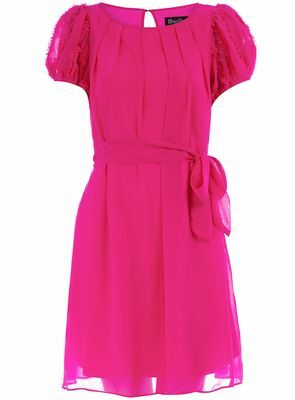 Mariko Pink Ruffle Sleeve Dress. Pink ruffle sleeve dress with waist tie detail, 100% Polyester and Machine washable. 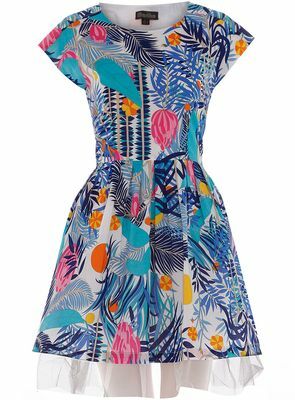 Mariko Tropical Print Tea Dress. Tropical print tea dress with net underskirt, 100% Cotton and Machine washable. Mariko Black Stripe Dress. 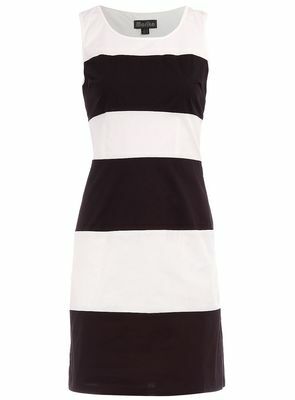 Black and cream stripe structured dress, 97% Cotton, 3% Elastane, and Machine washable. See the full collection of dresses by Mariko now.